Penti-M Engineering Australia is a family-owned business with strong ties to the Rockhampton community. Directors Wayne and Judy Keleher have built the business up over 28 years to a highly-skilled team that includes trade-qualified Fitter/Machinists, CNC Machinists, Draftsmen and Mechanical Engineers. Wayne is a trade qualified Fitter and Turner with an eye for perfection. 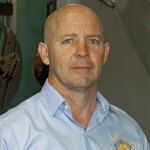 Wayne started the business in 1989 and has maintained his strong values within the business throughout its growth. An ideas man, Wayne isn’t afraid to think outside the box and has always believed in having a ‘YES CAN DO’ approach, turning many machines inside out in order to produce world class machines and components. 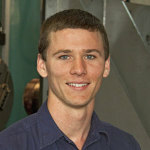 Zane is a trade qualified Mechanical Engineer with 10 years industry experience. Zane now specialises in continuous improvement and implementing the latest technologies and strategies within Penti-M. As the customer service representative, Zane will always look to your best possible outcome and ensure Penti-M deliver beyond expectations.